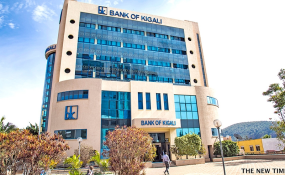 Diane Karusisi, the Chief Executive Officer of Bank of Kigali, said that the deal will improve the bank's interventions in long-term and affordable loans. "Addressing the need for affordable and long-term business financing enables the private sector to become the leading player in the development of the country by steering a transformational and industrial economy." She added: "We have found the right partner in European Investment Bank to ensure that financing is not a bottleneck to creating a vibrant private sector in Rwanda." "Accelerating private sector investment is crucial to creating jobs, unlock opportunities and enable businesses to succeed and the European Investment Bank is committed to supporting private sector investment in Africa. "In recent years, companies across Rwanda have benefited from the excellent cooperation between the European Investment Bank and the Bank of Kigali," he said.